As the longest established chiropractic clinic in Birmingham, we have been helping the surrounding community to better health since 1987. As a part of this commitment we aim to utilise the most advanced treatment techniques and are proud to be the first chiropractors in the region to offer non-surgical spinal disc decompression with our IDD therapy. As James Rousseau, DC explains, “At Birmingham Chiropractic Clinic, we offer state of the art technology in a warm, inviting, homely atmosphere.” Many of our patients have come to chiropractic as a last resort when nothing else has helped them, and they are desperate to avoid taking pain medication for the rest of their lives. They are amazed at their body’s recuperative powers once chiropractic has removed the interference to normal functioning. We strive to maintain our position as highly trusted, experienced, and qualified Birmingham chiropractors. We love taking care of kids and families, and seeing the difference chiropractic makes in their lives. Providing hope, help and relief to people who are suffering is our mission. Left pain free! Fantastic. Very thorough examination. I am very pleased with the on-going care I’ve received. It has made a huge difference to my well-being and has improved my mobility. I’d started to think I would always be in pain! I’ve found the staff and treatment second to none, would recommend the practise in a heartbeat. In nearly forty years of having problems this was the most thorough examination I have ever had. Thank you! I’m amazed at how quickly I got answers for my problem and how quickly I was treated and the pain relief two hours after treatment. Definitely recommend the place. Very good service received by all members of staff that I communicated with; Very helpful and polite. A comfortable, calming, safe and clean environment. An absolutely lovely chap who treated me, an intelligent and professional young man! Lovely to be on the road to recovery, thank you so much it’s been delightful being treated today. Will certainly recommend to others. Really felt at ease as soon as I entered the room. He listened to what I had to say and fully explained what was going to happen and why, and what we were going to look into on the next visit. Great first visit, will highly recommend. Just a big massive thank you to all the staff. You were a great help! Excellent consultation and treatment. All findings and treatment clearly and thoroughly explained. Looking forward to the next session. Very friendly and helpful, feeling very positive after my first visit. I really enjoyed my first appointment with Dr. Rousseau and feel hopeful that he will be able to help me improve my condition. 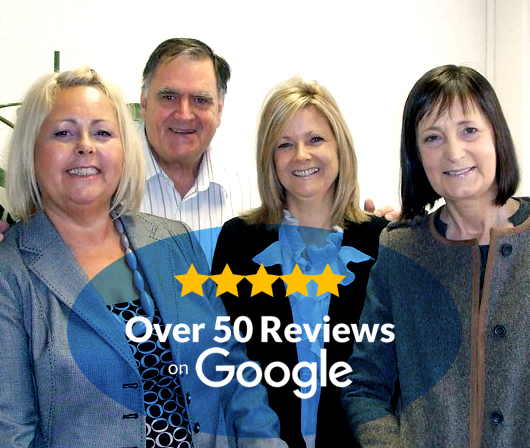 I have been very happy with the service and the treatment i have received. First visit to the clinic, it was very welcoming and professional. My mum has been suffering from persistent pain for 2 years and the feedback was very educational from the practitioner. Very impressed by how quickly the cause of the problem was identified by William and the exercises suggested to help the problem. I wish I had thought of this years ago! Excellent service and treatment from walking in the door to going out. A friendly and approachable place, I felt really comfortable there. Everyone was very helpful. I found my practitioner very helpful and because of his quick and accurate diagnosis I was able to get the correct medical treatment so I would like to thank you for your helpfulness and sound advice. Great experience with a knowledgable and understanding consultant. Felt better when I heard an explanation of my pain, very well explained and thorough – great technical skills coupled with excellent service (including receptionist). Very impressed with my first visit, much more involved and thorough than I was expecting. Nice friendly, unhurried treatment. Didn’t think it would work but wow miracle workers definitely will recommended! I was very enlightened from my visit. Very friendly and informative assessment. Thought I was stuck with pain forever. I now have faith that it will improve or even be cured. Marek has helped me so much with my twisted pelvis and the other stresses pregnancy has put on my body. He has definitely helped make my pregnancy experience improve and I would recommend his services to anyone. Came out feeling very satisfied and learned a lot of how not just the body works but also how our mental state of mind works too; excellent. Left wondering why I waited 7 months of pain before coming to see you. Very informative and quick diagnosis! I found my experience really comfortable, prompt and professional. I felt quite comfortable speaking to the Doctor, who was really helpful and informative. Overall it was a great experience. I felt that I was in good hands, it was very interesting to learn how many things affect your back. The receptionist was lovely, I was seen on time, and shown exactly what was happening. From the first visit, my pain was not gone but it shifted and came down a level so was not as intense. Highly recommended!! Friendly, comfortable and very reassuring first visit. Very thorough examination with explanations the entire way through. Liam spoke to me and not at me, I like the holistic approach taken and the step by step process from hereon in. I look forward to my alignment and getting the old skeleton back in shape. Really pleased with the professionalism and friendly staff at the practice. Will be making another appointment soon. Keep up the good work. It was an excellent session Gurjit was very supportive of my daughters needs and explained things to her as he went along. He was calm and patient with her. Great first experience – very thorough. I felt very relaxed, an over all good experience. Local, friendly, approachable and effective. Have total confidence in the care that I am being given and have recommended the practice to many others, all of whom have been treated competently and have been impressed. Exceed all expectations. Thank you. Amazing service, fast and knowledgeable. For my first visit I was very impressed with the detailed consultation, the level of knowledge seems extensive; so far so good. Consultation was really good and the follow up is the very next day which is great! All staff helpful and welcoming. I found my first session to be amazing! Gurj helped to identify my problem by carrying out a series of tests (none of which hurt) and explained at every point exactly. I would absolutely recommend his services! I was made to feel welcome and not at all rushed. The chiropractor I saw was a very helpful and understanding guy. I was seen promptly, which was a relief as I was visiting on my lunch break! Will be visiting again. My consultation was excellent and the treatment I revived has been first rate I would recommend this practice to any one. Great first time experience and feel better after my first session! The family feel of the business is what I got when I walked in. Warm welcome and comfortable clinic. Thank you for providing good health service. Felt at ease immediately, very happy with how I was dealt with. Very friendly and helpful staff. Excellent experience and very useful information. Was recommended by friends and family. I have been very pleased with the service and treatment received. My back is the best it’s been in a long time. Very positive chiropractor and very thorough and helpful.